With several high profile DFLers already in the mix to replace outgoing Governor Mark Dayton in 2018 – and more still likely to come – Congressman Rick Nolan would be far from a sure thing to win his party’s nomination next year should he make such a surprising bid. Supporters of Nolan, who has publicly been considering a gubernatorial run for the last month, have been brandishing his greater Minnesota credentials as a key for Democrats to hold the governorship, coming off a cycle in which the congressman won reelection in a heavily rural district carried by Donald Trump. Already beating Nolan to the punch in declaring their intent to seek the DFL nomination are St. Paul Mayor Chris Coleman, Auditor Rebecca Otto, and State Representative Erin Murphy. A gubernatorial victory by the DFL in 2018 would be historic: the party has never won the governorship in back-to-back cycles with different nominees since statehood. A victory by Nolan, however, would be doubly unusual. Smart Politics reviewed Minnesota’s 66 gubernatorial elections since statehood and found that not only would Rick Nolan be the oldest governor in state history but also by far the oldest major party nominee for the office. Mark Dayton currently holds the state record as the oldest governor to serve in Minnesota at 70 years and 21 days through Thursday. That is almost six years older than the state’s second oldest governor – Republican Arne Carlson – who was 64 years, 3 months, 11 days of age when he left office in January 1999. Dayton broke Carlson’s mark approximately a half-year into his first term on May 12, 2011. Dayton also holds the record by being the oldest candidate ever to win a gubernatorial election – at the age of 67 years, 9 months, 9 days in 2014 (breaking his own record set four years prior). 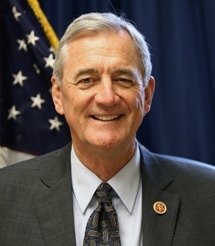 If Congressman Nolan runs for governor and is elected he will shatter that mark by more than seven years. Nolan will be 74 years, 10 months, and 10 days old on Election Day in 2018. On his first day in office (January 7, 2019) Nolan would clock in at 75 years, 21 days – which is more than three years older than Dayton will be on his last day in office (71 years, 11 months, 12 days). But to simply win the DFL nomination would be quite a feat for Nolan. The current record holder as the oldest major party gubernatorial nominee in Minnesota history is Democrat Alfred Jacques who appeared on the 1926 ballot at the age of 69 years, 8 months, 25 days. Jacques, a former municipal judge and U.S. District Attorney for Minnesota, finished in a distant third place with just 5.4 percent of the vote behind Governor Theodore Christianson and former Farmer-Laborite U.S. Senator Magnus Johnson. Jacques is one of many 60+ year-old gubernatorial nominees who lost to younger candidates. Carlson was 60 at the time of his 1994 reelection victory and is the only gubernatorial candidate other than Dayton to win election in his 60s. Dayton remains the only non-incumbent to win the governorship at the age of 60+ out of 11 such candidacies. Nolan is also partly responsible for Minnesota’s delegation to the 115th Congress being the oldest elected to the office in state history (averaging 59.8 years). On November 7th, the DFLer will pass Republican Congressman Loren Fletcher (73 years, 10 months, 21 days) for fourth place on the list of the oldest U.S. Representatives to serve from the Gopher State. 2 Comments on "Rick Nolan Would Shatter Mark for Oldest Governor in Minnesota History"
Related but trivial/coincidental: I believe the current session is only the second time in state history that Minnesota has had a U.S. Representative whose last name is the same as the first name of a sitting state legislator. Who are the two pairs?